Build your empire and send your army to battle by the side of your heroes! 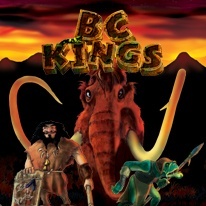 BC Kings features several new elements that you might not have experienced in a strategy game before. Besides just gathering resources, training an army and defeating the enemy, you will have to solve adventure and role-playing elements as well. The campaign is built around the epic story of your brave hero Mradin, and his trusty old friend Giesnik. But not only do you have to complete the main objectives, but you can also solve side-quests, which are rewarded with Shell-coins, that can be spent on upgrading your main characters. You will have to be victorious in complex missions in different places and on different levels. Each mission runs on multiple maps, where you have to travel between them and take advantage of, for example, the hidden cavern that leads to the back of your enemy.